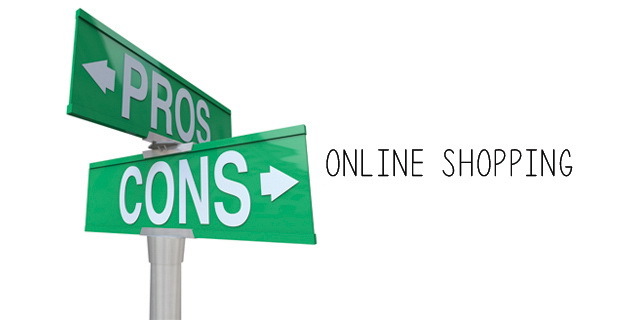 Online shopping has rapidly emerged as preferred shopping method for a lot urban population. While it is great to shop at a click of a button, there are always certain advantages and disadvantages of online shopping in India. Online shopping is great and there are almost always lots of offers, discounts and various things to lure us in and get a good deal. However as with everything, there are grey areas and online shopping in India is not different. It has its fair share of advantages and disadvantages that one must bear in mind while going click happy and shopping for everything and anything online. The obvious given with online shopping is the ability to save time. You can be sitting in your night suit or just got up from your slumber and still be able to shop. It is a great time saver. Also with the options like cash on delivery you need not even waste time making online payments and sign-ins and so on. Also the advantage of online shopping is that it saves money. Firstly Travel costs are saved since you in your comfort zone. Secondly there are often great discounts and offers available while you shop online and that saves you some money. Also you can have coupons etc to further take advantage of offers. 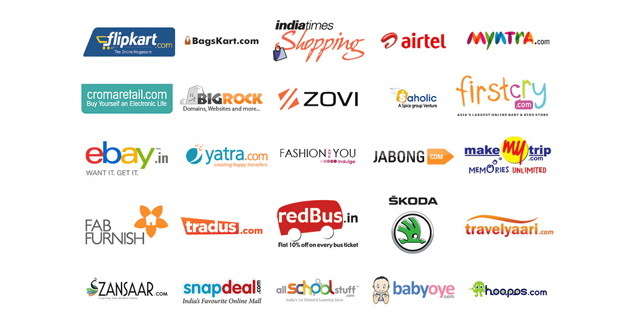 Here are some more ways to save money when shopping online in India. You can compare while shopping. There are multiple website selling the same stuff at different prices and you can easily choose the one that suits your budget and offers the best prices and discounts. Also when people shop online they are pretty vocal about it in the reviews sections. There are reviews that one can refer to while shopping online and compare the products as well as the online stores and its services to the customers. It is 24×7 open. So if you just have a sleepless night over a dress you need to wear at a party next week, just log on, and buy it online. You need not lose sleep over it and you can do it whenever you like. If you are in a hurry just ‘add items to cart’ and then you can move on and when you get the time you can order that from the cart on the website. It is just that simple and convenient and of course the things are delivered to your door step so there’s that. Often times at store you may not find the correct sizes and the right designs. This is however not the case with online shopping. You can search by size, price, design, and so on. So by and large the size issues are a non-issue actually when shopping online. Also you are looking for something unique, chances are you will find it online. When you shop online no one is after you trying to sell stuff you don’t need. There are of course recommendations and all, but there is no person talking to your face and giving the annoying sales talk. You are free that way. The most fast selling things online are often the ones that deal with privacy. Under garments of all kinds, personal hygiene items and so on. Also by and large whatever you shop, it is in your own privacy. There is no one to judge you and no one to snoop around as to what and why you are buying it. Even when the package is delivered to you, it has no mention of what is inside it. There is complete respect of privacy. While there are all good things about online shopping in India, there are fair share of disadvantages of online shopping too. One of the major one being Surprise factor. You order something looking at the images and reading the description and when it comes you find the dress you ordered has a different feel to it when you saw it online or the material is different. There can be a lot of surprises if you are ordering from relatively lesser known online stores whose credibility can be in doubt. In terms of products especially electronic items like chargers and accessories etc, chances of duplicate and sub standard items exist. You may have ordered a Samsung mobile Charger and you may get the same, albeit Made In China which is a duplicate one. These things do happen and while the seller may give you replacement warranty, the question is once you receive a bad item, would you trust a replacement? Hence it is advisable to shop from credible stores and also read user reviews about the seller and the product before buying it. You may be able to get all sizes when shopping online, however the fittings of the clothes may at times be weird and different from what you expected. This can be stressful and while you can always return in under the seller’s terms and conditions, but still it is a hassle and the time saved while shopping is negated while trying to send it back and shopping again for something else. While most sellers offer replacement of return guarantees, they may not cover the cost of shipping it back. So if you are returning something to the seller, you may have to bear that expense from your own pocket. While buying make sure you understand their terms and conditions and all the *’s before placing orders. While online payment is getting easier and secure by the day, still it is not foolproof. Credit card information can be hacked, there could be frauds on your debit card, or bank accounts can be hacked if you are not careful while making online payments. Always check for the words ‘httpss:‘ before the site’s url while making payments. Also using online virtual keyboards for entering passwords is recommended at the same time authentication via OTP or One Time Password is also an added layer of security. Lastly, make sure the computer you are using has updated antivirus software giving you real time internet protection and avoid using public computers like cyber cafes etc for shopping online. Online shopping is a great thing for a lot of people for various reasons. More and more things will be available online in the future and while it has its fair share of pros and cons, if you are careful about it, the experience can be pretty pleasant.